Eliminate shadows and dark spots, while preventing hot spots caused by intense task or inspection light sources by properly leveraging General Lighting. 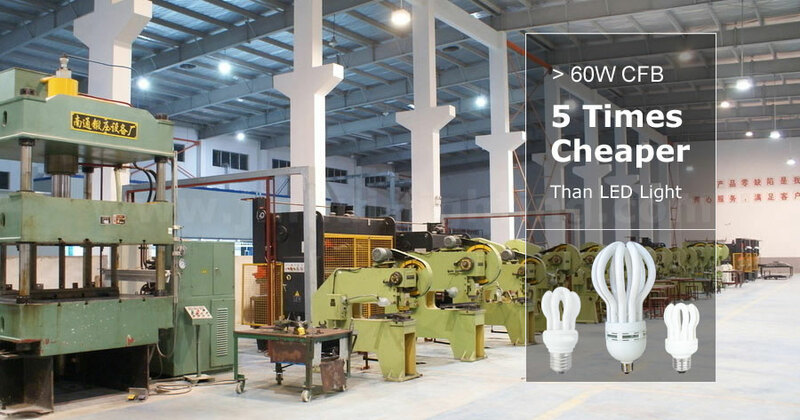 How many compact fluorescent lights (Spiral CFL) do you need for your work shop? The industrial workplace is changing rapidly, yet it is still an environment where the focus is on people and quality workmanship. General lighting illuminates the majority of a facility, and thus can have a great impact upon lighting related operating costs and productivity. Improving the quality of the general lighting in your plant can be both easy and cost effective. For jobs that require extreme focus, You can make this fixture more energy-efficient simply by using a 45-60 watts CFL, it is 5 times cheaper than a LED. The compact fluorescent bulb consists of a high performance electronic ballast and a trichromatic fluorescent lamp. The whole unit is compact and simple in construction and highly effective in light emitting, with soft light, excellent chromaticness and low heat-emission. Moreover, it can be instantly started even at a comparatively low temperature or voltage. Ceiling Lamps: T Tube, Circle. Wall Sconces: Bulb, Candle, Global, U Style, Spiral and Column, Flower. The LED light series provide good light distribution, soft and flattering, yet bright enough for applying writing, reading and so on. The LED lighting application is very popular. Select the proper power which will fit in your room or space. Select the right shape and size which will fit in your light fixture. Select the proper color or color temperature in between the 2700K and 6400K labeled packages. Select the right base for your fixture. Select ENERGY STAR® lights for reliability. Recessed light fixtures and fixtures that are completely enclosed (no air flow) are more likely to cause early failure for most CFLs. The additional heat generated by the compact fluorescent bulb in the enclosed fixture is too much for the ballast that is integrated into the base of the bulb. Although the CFL will operate in these fixtures, the life of the bulb will be shortened substantially from its rated life.